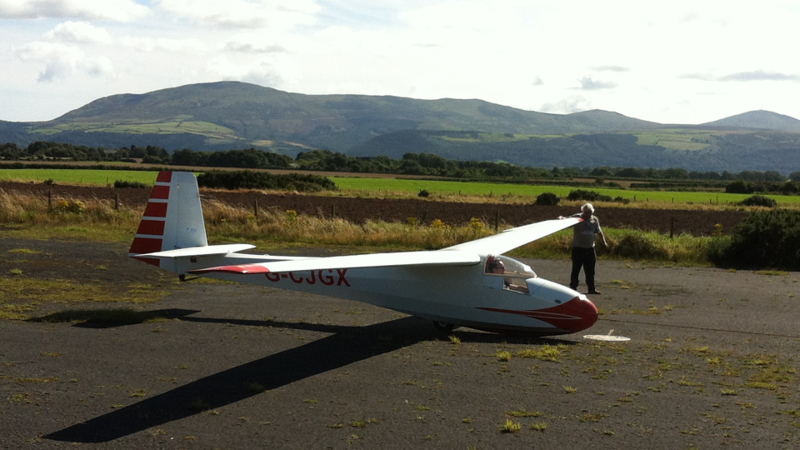 We currently have one two-seater and three single seater gliders. In addition to this we have a powered aircraft that is responsible for our aero-tow launches. 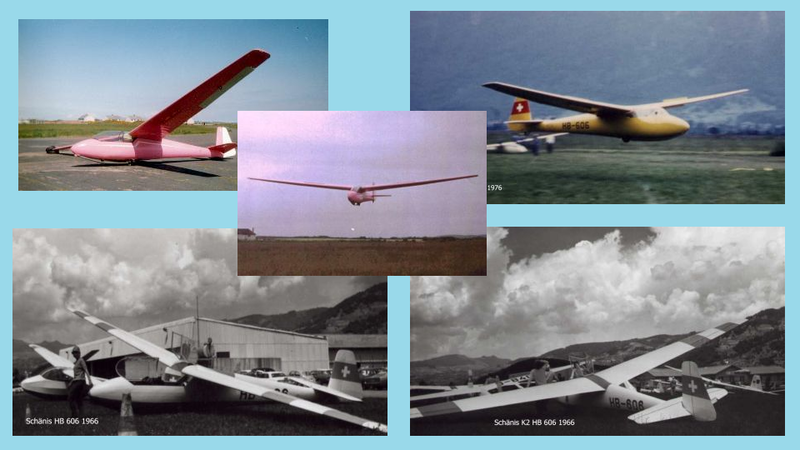 Our club has had the privilege of operating a wide variety of gliders. Our newest aircraft, the last ever Bergfalke IV to be produced by Scheibe. Bergfalke is German for Mountain Falcon. First registered as D-6930 she flew with a German club from 1979 to 1983. 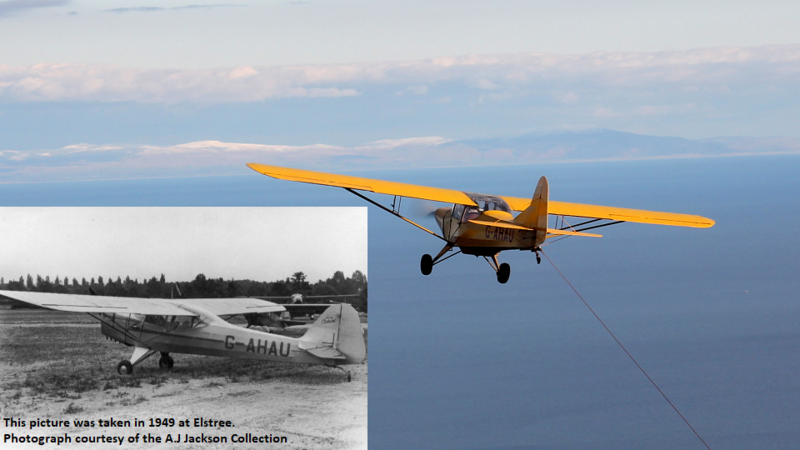 She was then sold to Goteborgs Segelflygklubb in Sweden, flying as SE-TYS. In the winter of 2006 she was bought by two members of the Zeeland Aero Club (EZAC) at Axel in the Netherlands and was registered as PH-1386 where she was affectionately referred to as the Blue Angel. She came to Andreas in 2011 and was first flown on the 6th of November 2011. Dave's pride and joy. We believe it is the only one in the British Isles in flying condition. (If anyone knows any different then Dave would like to know). Manufactured from the same stable as the L13 Blanik the LET L33 Solo is an all metal, single seater. It has a cantilever mid wing with a semi monocoque fuselage and cantilever T-tail surfaces. It is manufactured according to JAR-22 requirements. Built at Leicester in 1945 it was serial no.1850 and originally allocated the registration HB-EOL which was not taken up. It was first registered to W.A. Rollason Ltd., Eastleigh on 11 Feb 1946 and then sold soon after to Col. C.W.D. Rowe of Orton Longueville, Northants. He based it at RAF Wittering and owned it until 1953. By 1955 it was owned by Brooks & Johnson Ltd. Northampton. In 1965 it was registered to A.West of Bedford and was then moved to Panshanger nr Welwyn Garden City. Still at Panshanger it was then owned by The Wasp F/G in 1967 and B J Foley in 1976. 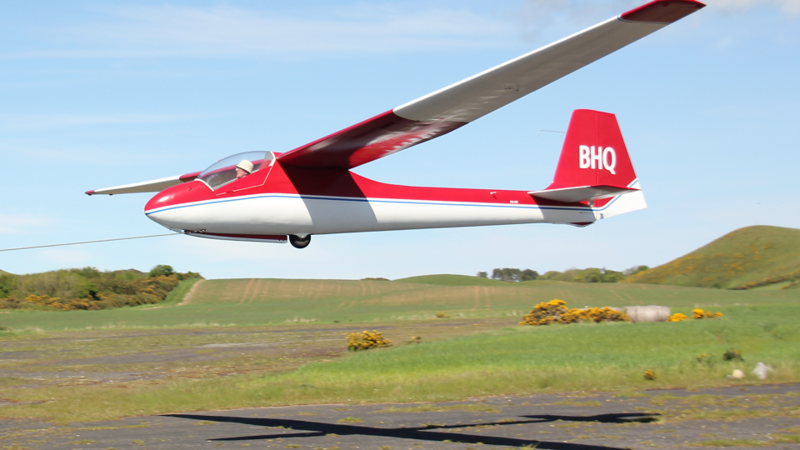 A group of gliding club members brought her to the Isle of Man in 1997 after she was re-engined with the more powerful and less maintainance intensive Lycoming O-320. She now serves as a private aircraft and a tug for the club. LET L-13 Blanik - "Boggles"
She gets her name from a love affair with a SE5a model during Dave's modeling era in the '70's (God that's a long time ago!). Then, all his models were named after Russ Abbots spoofing of W.E. Johns character Biggles. Any how it also kinda fits with "Blanik". 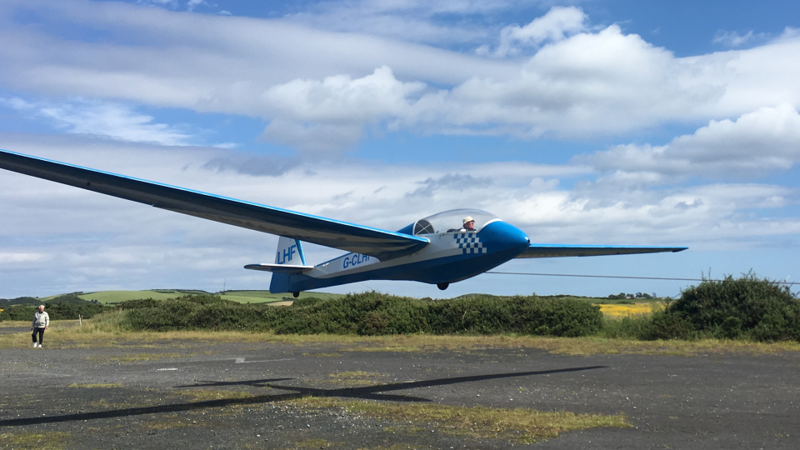 Dave purchased "Boggles" in 1992 after it was rebuilt using life extended wings from BGA2009 and then again in 1999 from BGA 1829. 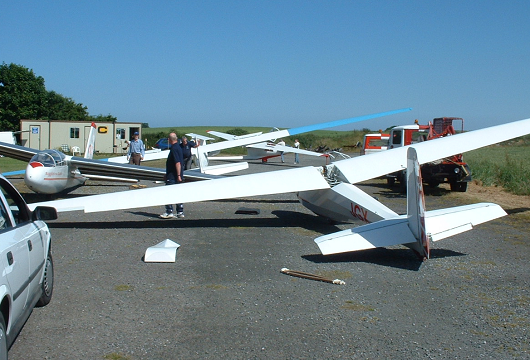 Requiring yet another set of wings in 1999 we thought that her days were numbered... until that is some unknown member of a gliding club from the south of England managed to heavy land their Blanik without damaging the wings! Now with yet another set of wings she continues to serve the clubs two seater role quite adequately. 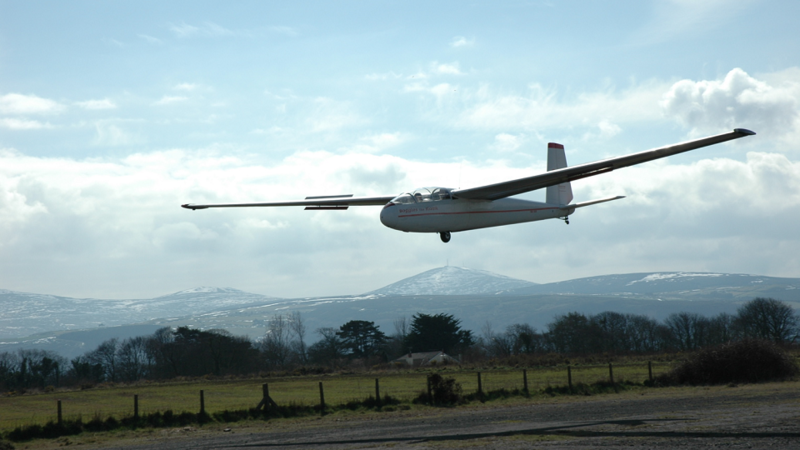 The T53b was designed in the late '60's as a two seat metal sailplane. At the time Slingsby Sailplanes were looking to the future and at the time that seemed to point towards metal sailplanes. The Royal Air Force were considering the modernisation of its fleet of aging T31's and T21's used by the Air Cadet Volunteer Gliding Schools throughout the U.K. Slingsby, located at Kirkbymoorside in Yorkshire really coveted the huge commercial benefit of their new T53b being selected for the replacement for the Royal Air Force's Air Cadet fleet. 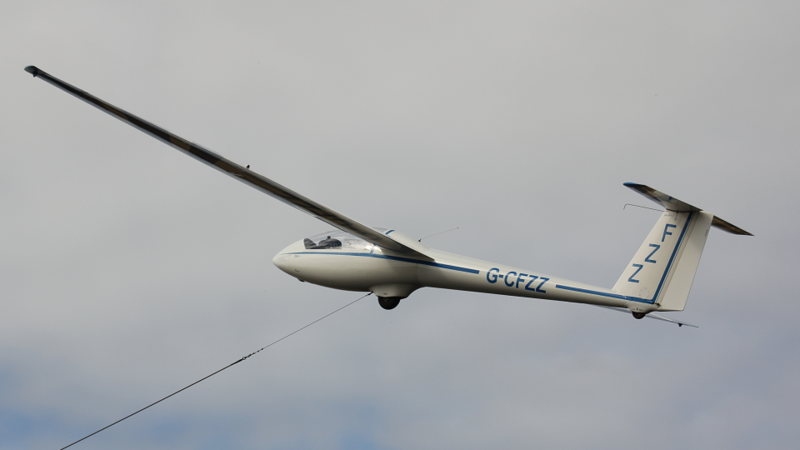 One aircraft was sent to the Ministry of Defence Evaluation Centre at Boscombe Down and following preliminary testing another was dispatched to the RAF Central Gliding School. However the project was doomed following a disastrous fire at the factory which nearly ended Slingsby's days. The T53B was not adopted by the Air Cadet Gliding Schools and the old T31's and T21's served the service for a further 15 years. When Yorkshire Sailplanes took over the production they added their own modifications to this aircraft and it became the prototype YS53. This example of a T53b was one of the prototypes. 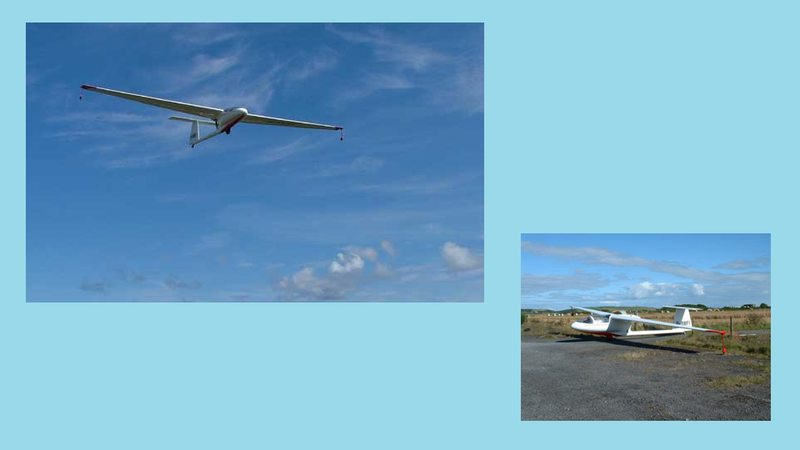 During previous visits to the Andreas Gliding Club ex member Phil Older had heard of this Ex ATC demonstrator aircraft that was hanging in a barn used for storing peas on the farm that now owns Andreas Airfield. Further research revealed that it was a T53b and it had been damaged by a heavy landing some years earlier. The owner was actually considering scrapping it. Six months later thirty years of grime were removed and the fuselage transported to Phil's garage. Phil wishes to acknowledge the excellent help his is receiving from Slingsby, who now build the very successful T67 all GRP primary trainer. Also mentioned in dispatches is Geof Bailey-Woods, he was the original test pilot of the T53 and has inspected the work done. This Schleicher Ka2b has a works No. 373 and was built in 1958 originally with a Swiss registration HB-606 & it was exported from Switzerland in August 1977 and then by Peter George from Germany in November 1984. Would you believe, he flew it at Ramsey, Cambs! 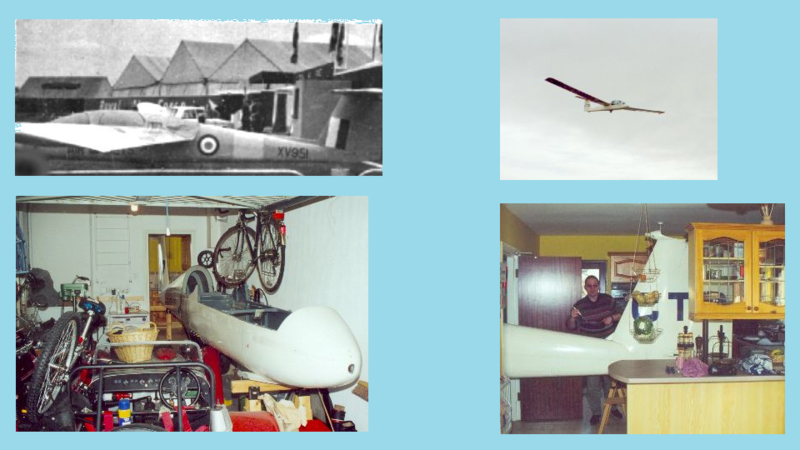 If anyone knows the glider we would really appreciate any history, photo's, etc. Built in Poland by PZL the SZD - 45 Ogar is a purpose built motor glider. This example is owned by Lionel Morrey and is available to suitably qualified members. Powered by a single 65hp Limbach SL 1700 engine it will climb at a modest 350ft/min. The cruise can be maintained at between 2300 - 3100 rpm which will give you an airspeed of between 50 & 65 knots. Fuel consumption at this rate is about 9 ltrs/hr. A partially retracting undercarriage will improve the performance only marginally. 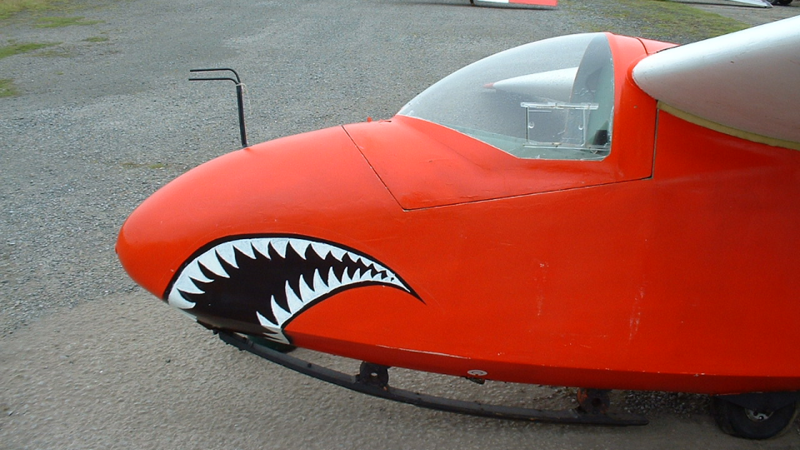 The M-200 joined the club in 2010 as a stand-in two seat trainer allowing the club to return to operation while the Blanik is out of service. 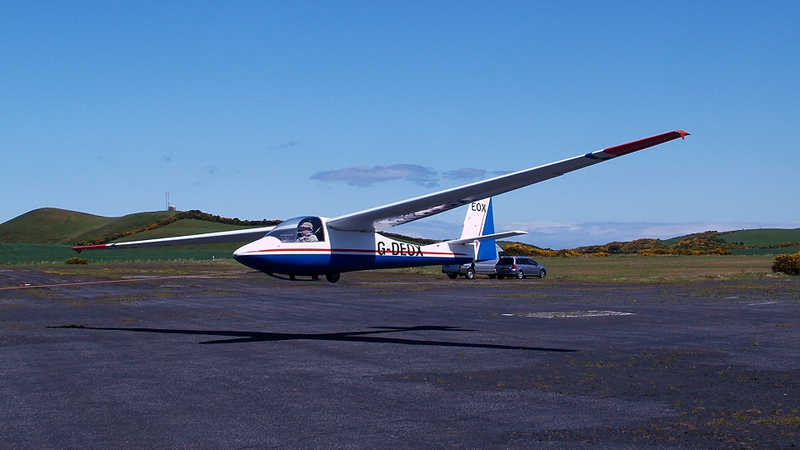 After she was successfully transitioned to the stringent new EASA airworthiness scheme, a group of intrepid club members brought her (and her exceptionally large trailer) back from Bowland Forest Gliding Club during April 2010. A slightly unusual feature is the offset side by side seating where the instructor sits to the right side and slightly behind the student, rather than directly behind as is more conventional.